There was a good turnout at El Bajio for the first Charreada of the season. Everybody was enthused. Looks like it will be a great year for Charros and Charras. The vet was there doing coggins test so everyone is ready for the Battle of Flowers Parade. Margareta Medina and Randy Janssen have the sign in sheets for the Parade. They need to be in by April 1. The vet will be at El Bajio tomorrow and you can sign up for the Battle of Flowers Parade. If you are interested in administering this web page contact us at the above email. ALMOST MID FEBRUARY AND STILL NO SEMINARIO, NO CALENDER, NO PRESIDENT! WHY HAS EVERYTHING DELAYED SO MUCH? ALSO THIS PAGE NEEDS A MAKEOVER AND NEEDS TO BE UPDATED! THERE ARE TEAMS ON HERE THAT NO LONGER EXIST AND NEW ONES THAT NEED TO BE ADDED, AND EXISTING ONES WITH INCOREECT INFORMATION! JFYI! No que ya iban a saber las fechas?!?! En dónde son las competencias y cuando?!? El seminario?!??!? QUEREMOS SABER!!!! What's the schedule for this year? A vet will be at El Bajio on the 24th to do coggins test for $22.00 each. If you want more shots done, you nee to let us know what you want by the 17th. Also, the applications for the Battle of Flowers Parade are in, they will be available on the 24th. 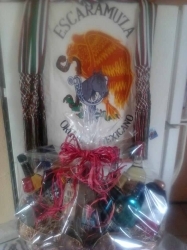 Escaramuza Orgullo Mexicano los invita a participar en la rifa de esta canasta con 10 botellas de licor, se llevara acabo en la charreada de este 24 de febrero en el Lienzo Charro el Bajio, los esperamos no faltes, gracias por su apoyo en esta temporado 2013..!!! There will be a meeting of the teams for the Southern Zone on January 28, at the Nuevo Villarta Resturant, to get ready for this years competitions. Fecha de ELECCIONES para PUA sera FEBRERO 16 a las 12:00PM en San Antonio, Texas!! CHARROS EL BAJIO LOS INVITA A UN GRAN COLIADERO BOLETIADO, ESTE SABADO 26, APARTIR DE LAS 2:00PM CON BECERROS NO ANTES COLIADOS, PUEDES TRAER TU PROPIA CERVEZA NO SE PERMITEN BOTELLAS DE VIDRIO, HAMBIENTE TOTALMENTE FAMILIAR, NO FALTES, LOS ESPERAMOS...!!!! Que bonoto es lo bonito, felicidades a todas las escaramuzas que participaron ayer en lo mejor de MEXICO nos vemos el proximo año y suerte que sigan haciendo bien lo suyo. Se vende caballo entero de 10 años con riendo charra. Tiene registro y es nieto de Pepper San Badger! Para mas informe favor de llamar a (512) 762-7493 estoy en la area de Austin! Sorry Tina, there is no 2013 calendar yet, this will be released on 2/09/13. CAN YA POST THE 2013 CALENDER .? 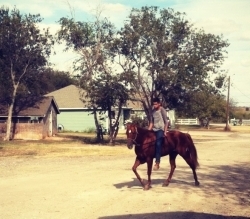 Arnulfo Duran picked up the releases for the Stock Show Parade, if you want to ride, contact him. Also, we have had a number of people and two schools contact us about the 2013 Calendar. Does anyone know if New Mexico has a website for escaramuza? The releases that need to be signed for the Stock Show Parade are in. If you want to ride, they need to be signed in front of a Notary Public. You can call Randy Janssen at 210-846-8757 for more information or go by his office at the Chase Bank Building at 2130 SW Military Dr. #202 to sign or pick them up. There is a Notary who will not charge at that location. La convocatoria para la junta Oficial de charros 2013 ya se la mande a sus capitanas. Si eres equipo nuevo y no la recibiste es porque la delegada no sabe de tu existencia. **** The itinerary for the first charro meeting of 2013 has been emailed to all escaramuza captains. If you are a new team and you did not recieve it then its probably because you have not forwarded your contact information to the delegada.